Expect the conjecture that follows this harrowing series defeat to be extensively tiresome. England, favourites going into this series, have been utterly abject. When it appeared that things could get no worse, they did. 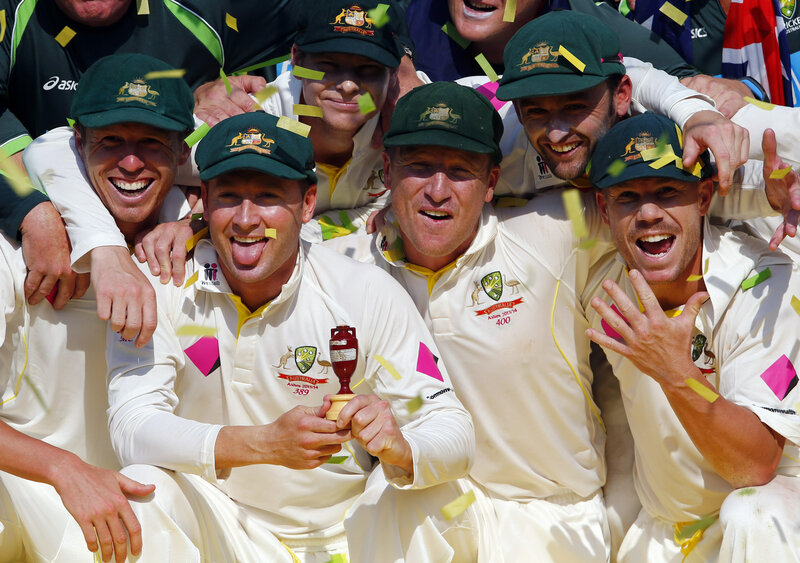 This 5-0 sweep is only the third in Ashes history after Australia’s 1920-21 and 2006-07 triumphs; while in England’s 108 series of five Tests or more, they have on only seven occasions scored as few as one century. The Australians won by 318 runs in Brisbane, 218 in Adelaide, 150 in Perth, eight wickets in Melbourne and 281 runs in Sydney. The tourists have, of course, been here before – and in many ways the thrashing of 2006-07 was even more humiliating: that series loss included one defeat by an innings and 99 runs in Melbourne, a 10-wicket defeat in Sydney, effectively another innings defeat in Brisbane (where Australia declared with nine down in the first innings and one down in the second, after declining to enforce the follow-on), and the memorable sight of England setting an all-time Test cricket record by declaring at 551-6 in the first innings in Adelaide and going on to lose the match. But that string of crushing defeats saw England regroup and return a better, more dogged side, just as Australia did after their troubles last year. Furthermore, despite the generally demoralising nature of this tour, there have been positives. Stuart Broad has once again shown that, despite his inconsistency, he can mix it with the best; while the emergence of Ben Stokes marks him as a potentially exceptional all-rounder with a good deal more bottle than the more senior members of the side, who wilted under intense scrutiny. But what of Australia? How good are this Australian team? Despite this crushing win, the jury is still out over their quality and capabilities. This is not to take away from the achievement of Michael Clarke’s men – they have completely and utterly dominated their tourists with bat and ball, as the aforementioned stats indicate. The euphoria of victory though can, at times, blur a forthright appraisal of performance. Sure, Mitchell Johnson showed a remarkable level of consistency to bowl at 90mph across five Tests – and quite rightly took the man of the series award. Clarke “out-captained” Alastair Cook; while Brad Haddin managed 465 runs at an average of 66.42 – the second highest by an Australian wicketkeeper in an Ashes Test series. However, in the same way that England have not become a bad side overnight, one exceptional performance does not elevate a recently-derided team to the pantheon of greats. 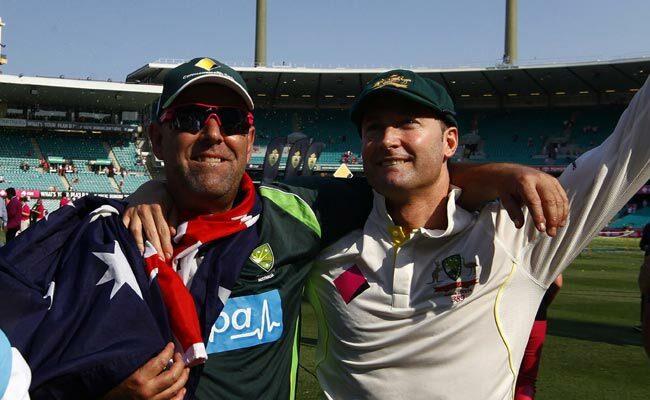 Sure, there is great potential in this side to move forward, and the appointment of Darren Lehmann proved a masterstroke. However, there are two key caveats. The potential to grow into a dynastic side is surely tempered by the ticking of time. An average age of 30.8 may not allow them to be measured in favourable terms against, say, the 2006-07 side. While Lehmann has done remarkably well to mould an Ashes whitewash out of this side, how many will travel to England in 2015? It’s a question that even the Australian press are asking – with Brad Haddin (36), Chris Rogers (36) and Ryan Harris (34) very likely to be past it by then, while Johnson (32) and Shane Watson (32) will have major question marks over them. As for further into the future? Australia had just one player under 25 at Sydney: Steve Smith. He’s an excellent player, but will he be so fearsome when accompanied by James Faulkner, Ashton Agar and James Pattinson? Secondly, and, arguably more importantly, Australia came into this series on the back of two bad defeats away from home: a 4-0 loss against India and a 3-0 Ashes defeat in England. The tourists they have been dreadful, of that there is no doubt; but is there really any worth in attempting to measure Australian improvement against a dispirited, exhausted side in obvious decline? For Australia, as it happens, the true yardstick is right around the corner: a series away in South Africa. The results over the last two months will have buoyed Lehmann’s men and seen them leapfrog England in the ICC Test rankings – but South Africa, the ICC’s number one Test team, will provide far sterner opposition next month. Emerge from the Rainbow Nation with a series win and they’ll have proved all they need to: this side will then be considered something special, because winning Test matches away from home is tough at the best of times. As Cow mentioned the other day, just two of 42 Test matches at non-neutral grounds in 2013 were won by the visitors – and both of those matches were in Zimbabwe. Australia may, of course, emerge victorious – and Cow will be mightily impressed if they outshine their hosts in the three Test matches at Centurion, Cape Town and Port Elizabeth. But even then, their elation is likely to be tempered by the knowledge that their rapidly-ageing side is about to enter a period of transition once again.